No matter who you are and what you do, the majority of you have had someone you call boss, manager, supervisor or any other title that makes you accountable to them. To avoid confusion, I will refer to this person as “boss”. Mr Control-your-soul. He is more commonly known as a control freak, nitpicker or micro-manager. Nothing you do will ever please him. He will question every decision you make about everything. Anything that doesn’t match up to his standards will automatically be discarded. You walk around on eggshells, afraid to breathe, cough or, God forbid, have an original thought. You lose faith in your abilities and begin to second-guess all your decisions. Soon, you can’t think or function on your own. The driving force behind this behaviour is anxiety about failing or making mistakes. Controlling others gives controlling bosses reassurance that the right path is taken. Ms BFF (Best friends forever). She wants to be your best friend, not your manager. She will go to great lengths to avoid conflicts or confrontations and do anything to make sure her employees like her. She will invite you to her kids’ birthday parties and organise frequent after-work get togethers. For the most part, you will have a positive work environment, but since her expectations are never fully clear, you are typically unsure of what you have to do and if you are doing it right. Mr Demean. This manager focuses on and takes great pleasure in belittling and humiliating staff, for no apparent reason. He makes you feel so awful and useless, that the only thing you should do is look for another job. Ms All-work-and-no-play. This martyr works on every public holiday, turns up at the office at 7am and doesn’t leave till 10pm. What’s worse is that she expects you to do it too. She even frowns on personal pictures or items on employees’ desks. If you are on medical leave, she assumes that you are goofing off. She doesn’t have a life and will see to it that you don’t either. Mr Overpromise. He will say anything to get what he wants from you. You want a raise? A promotion? Time off? “No problem!” But don’t hold your breath. He is just all talk and no action. He will promise you anything but will never deliver. Work hard and smart, and get a transfer to another department where your performance will be properly rewarded. Ms Wonderful. She appears to be too good to be true. You wait for the bomb to drop or the rug to be pulled out from under you, but it never does. She doesn’t just “talk the talk” but really “walks the talk” as well. She is supportive, encouraging, helpful and believes that work can be fun. She motivates her staff in positive ways, and even when she must criticise or reprimand, she will always bring up your strengths before saying anything negative. She is diplomatic, fair and patient. As long as you are doing your job and are not taking advantage of her, she understands that people fall sick, face emergencies and sometimes just need a “mental health” day. Work very hard for her because managers like this don’t come along often. Because she can be tough if she needs to be, be on your toes. Perform poorly and make enough careless mistakes and you’ll wonder where she went. So, if you recognise your boss in any of these descriptions, appreciate his positive qualities and see if you can live with the negative ones. 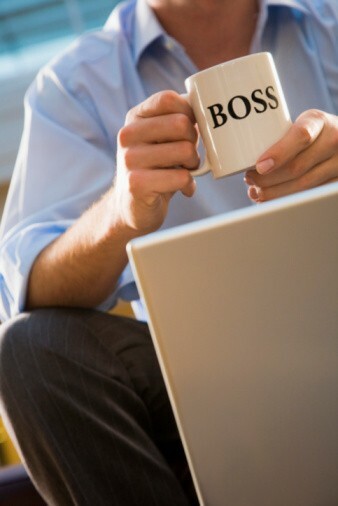 If going to the office makes you shudder, it may be time to start looking for a new boss.